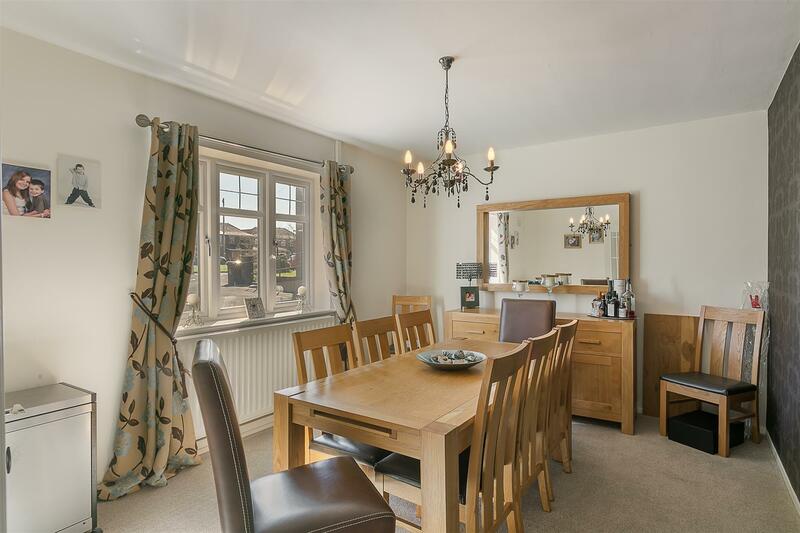 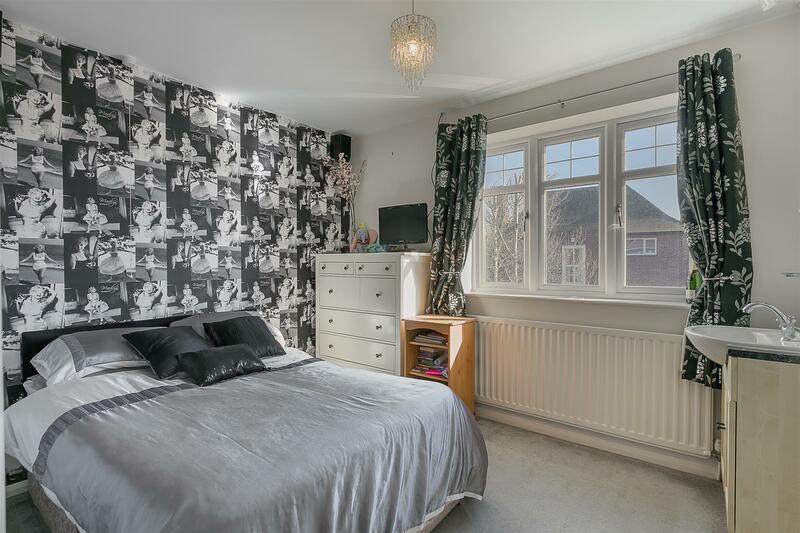 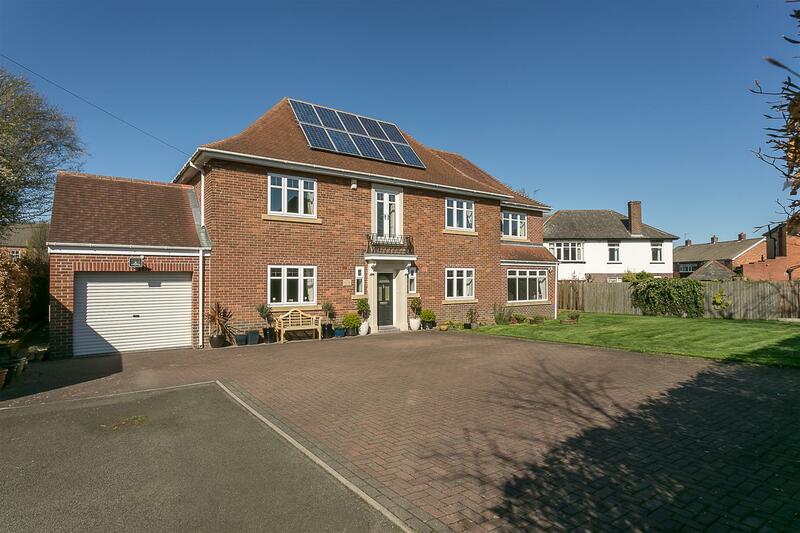 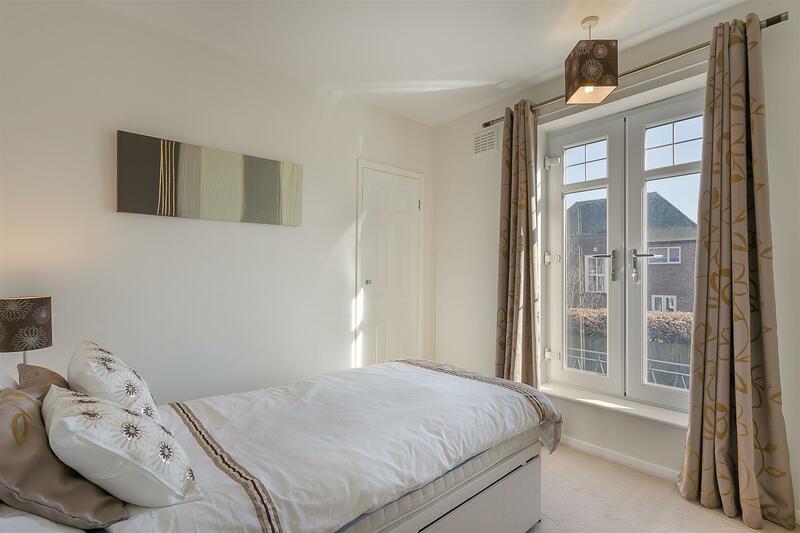 Detached Family Home with Impressive Front & Rear Gardens. 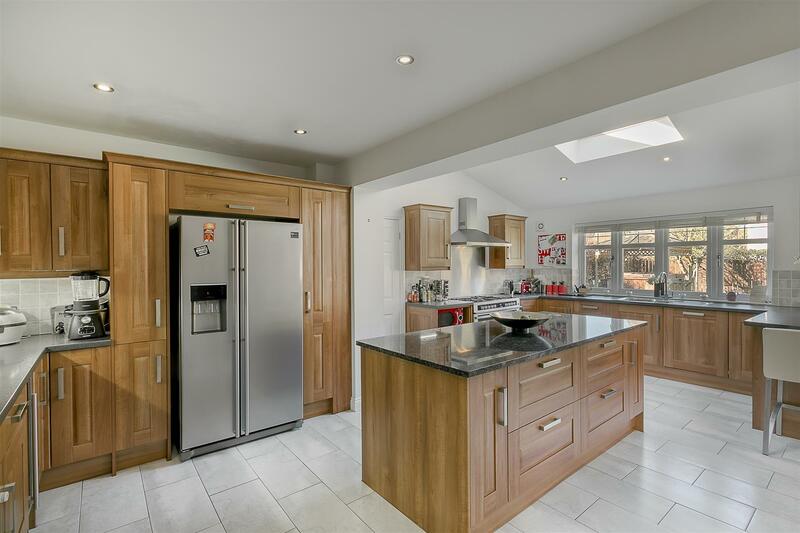 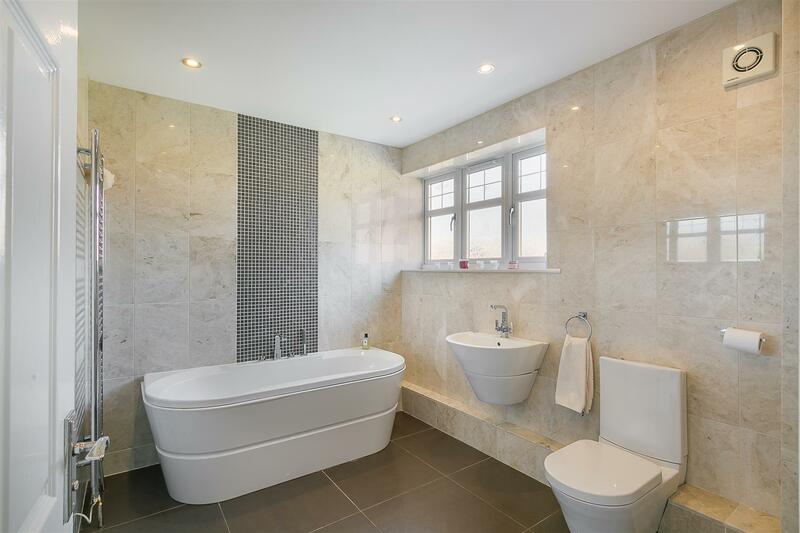 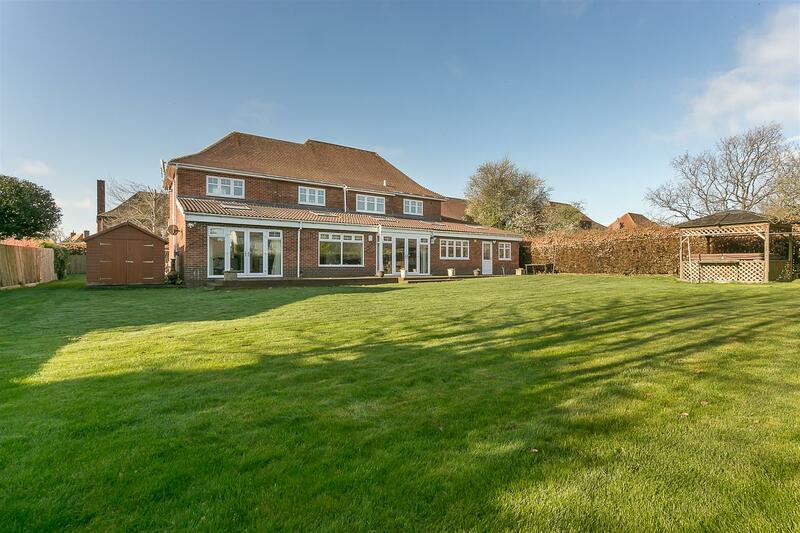 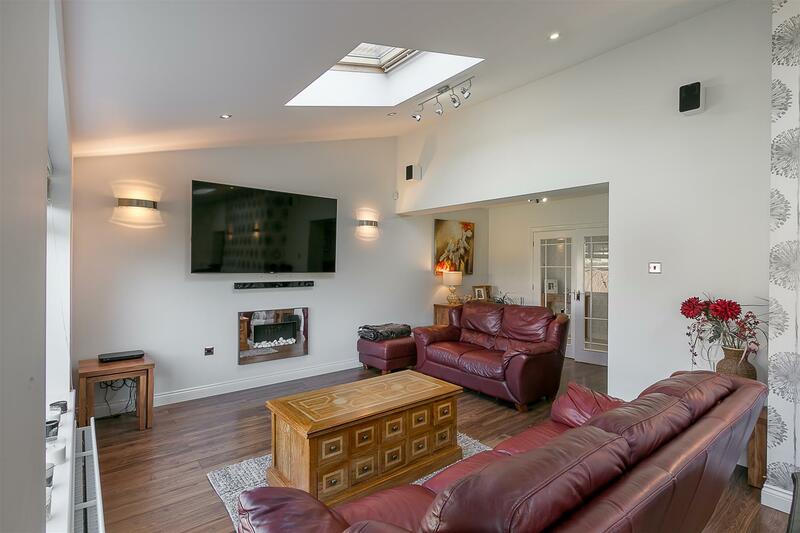 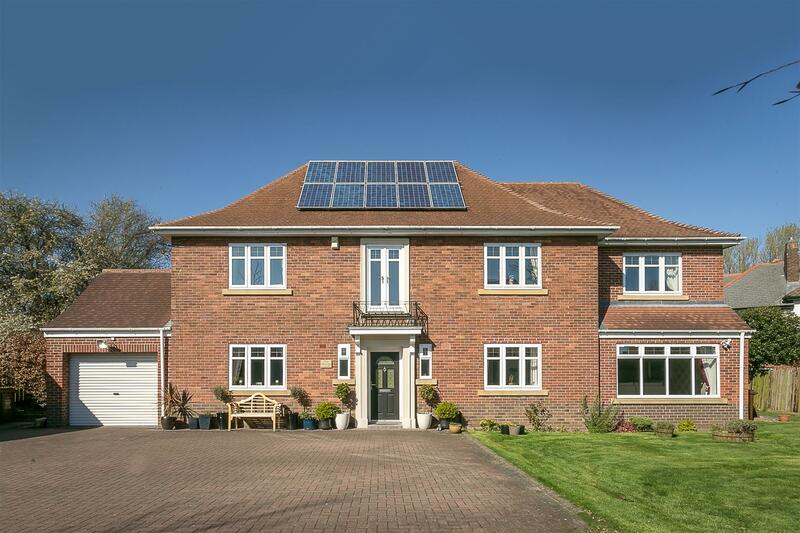 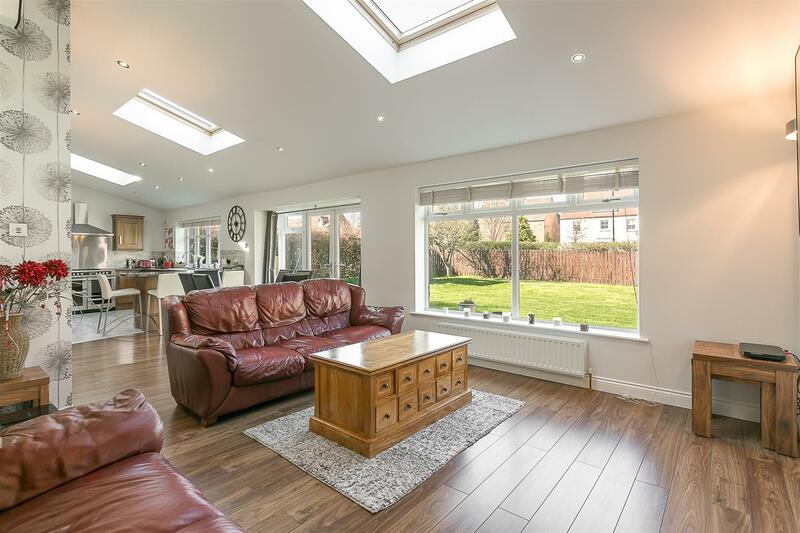 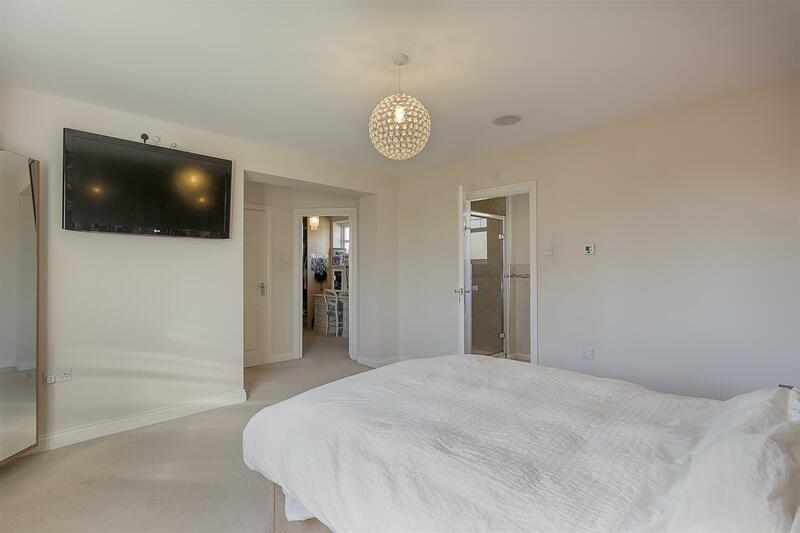 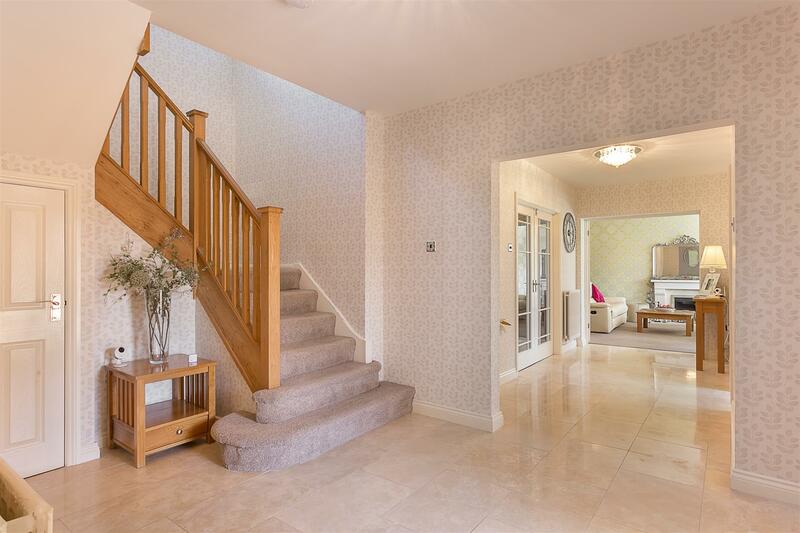 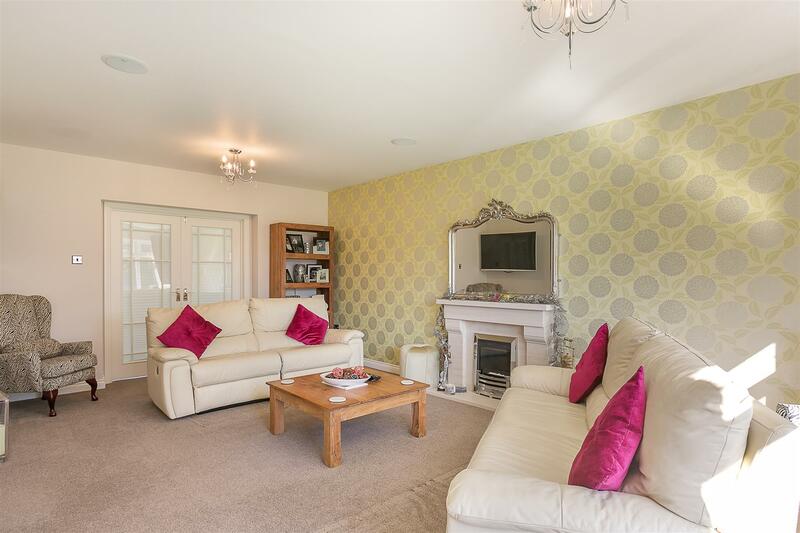 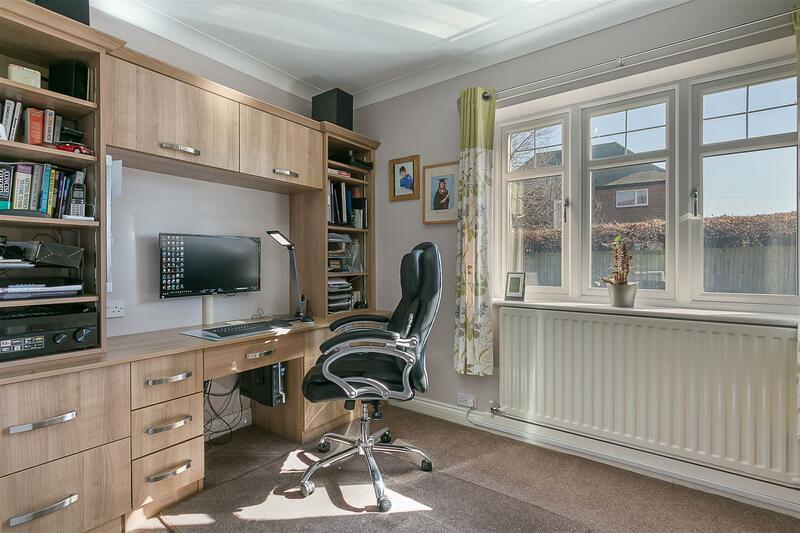 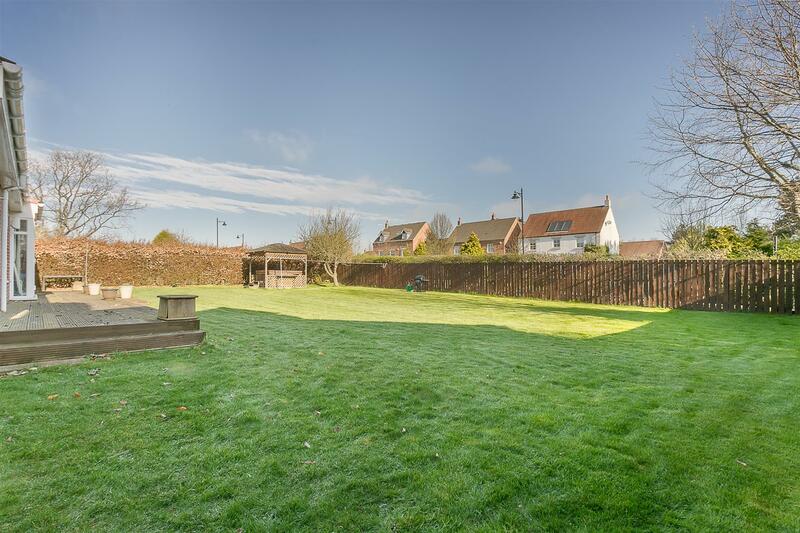 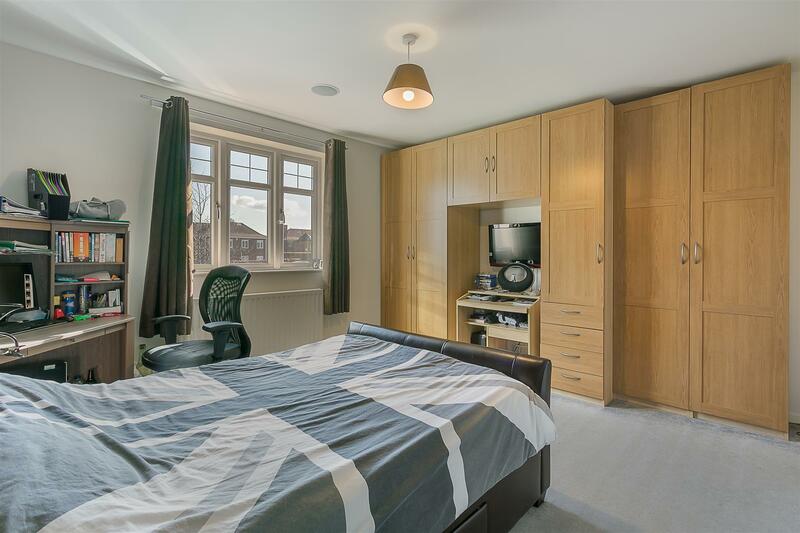 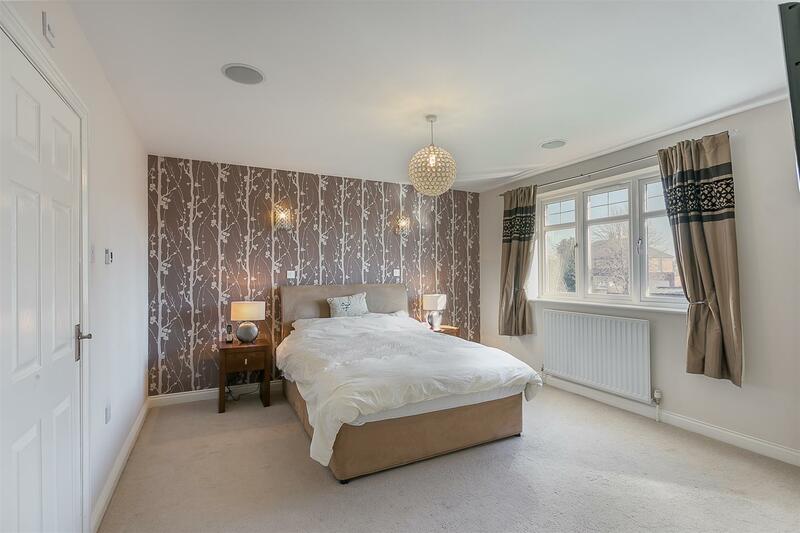 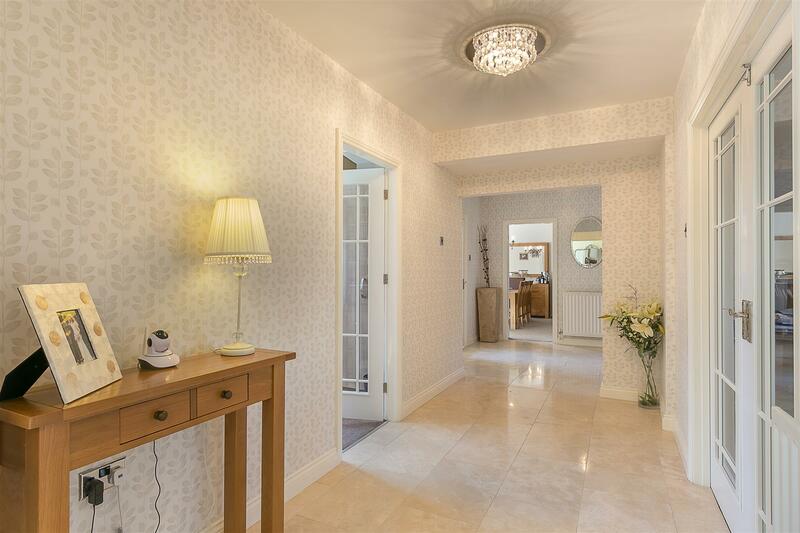 This substantial, detached residence enjoys extensive gardens and boasts close to 3,000 Sq ft. 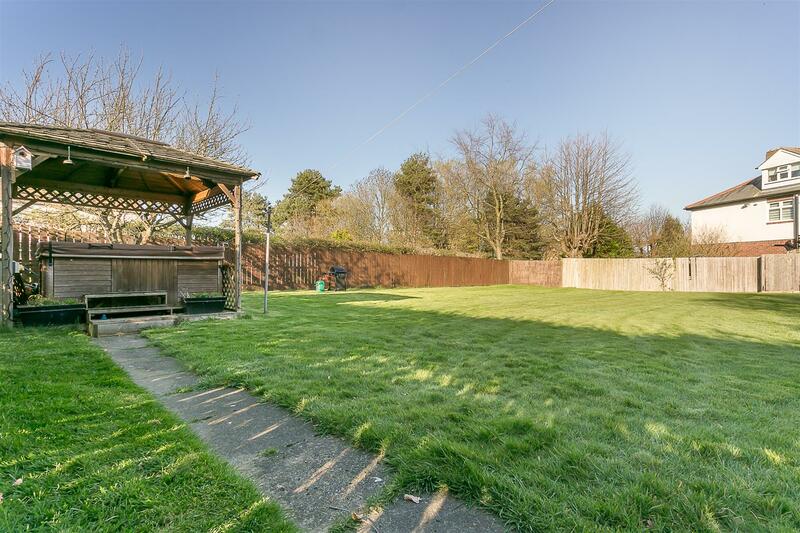 Occupying one of the largest plots at Queens Court, Gosforth, the property, which has been extensively extended by the current owners in 2007 is located within the popular Brunton Park estate and was thought to have been originally constructed in the 1950's for senior members of the Armed Forces. 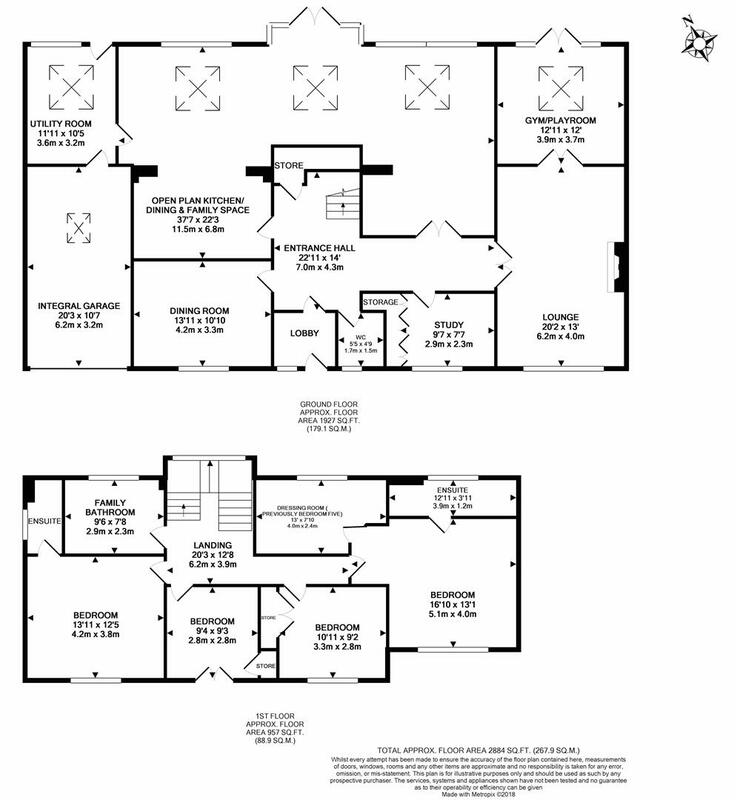 The accommodation comprises: lobby; a spacious entrance hall with central staircase, under-stairs storage, 'Travatine' tiled flooring and cloakroom/ground floor WC; dining room; study with fitted storage; lounge with feature fireplace and French doors leading to the gym/games room; gymnasium/games room with French doors to terrace and rear garden; impressive 37ft kitchen, dining and family area, perfect for entertaining, with French doors onto the rear garden, integrated appliances, granite work-surfaces, breakfast bar, 'Velux' windows and door to utility; large utility room with doors to both the rear garden and to integral garage and workshop to the ground floor. 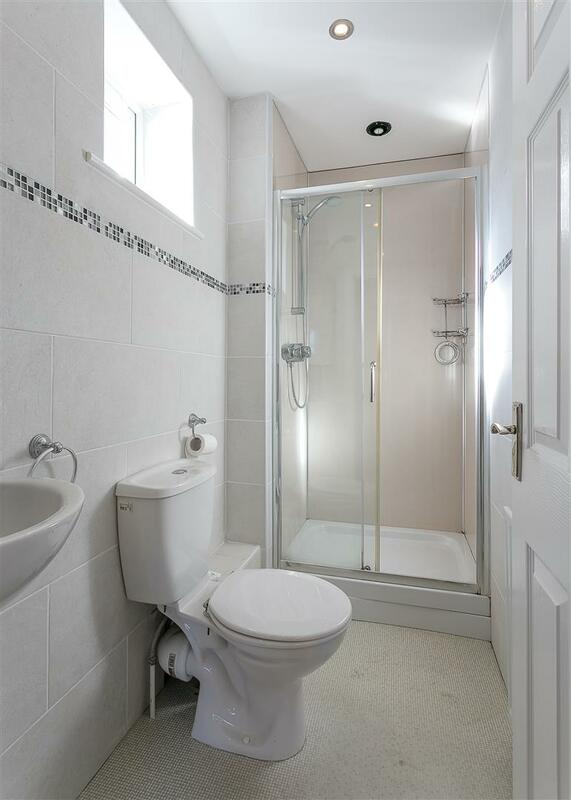 The first floor landing gives access to four bedrooms, the master with walk-in wardrobe (previously bedroom five) and en-suite shower room with underfloor heating; bedroom two again with en-suite shower room; bedrooms three and four both with fitted storage cupboards and a fully tiled family bathroom. 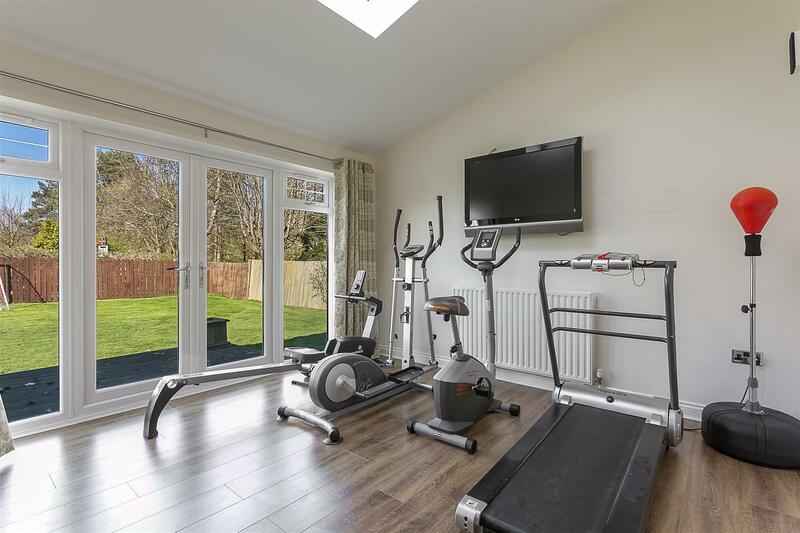 Externally, the property benefits from generous gardens to both the front and to the rear, laid mainly to lawn with decked patio seating area, hot tub with timber built pergola and fenced boundaries. 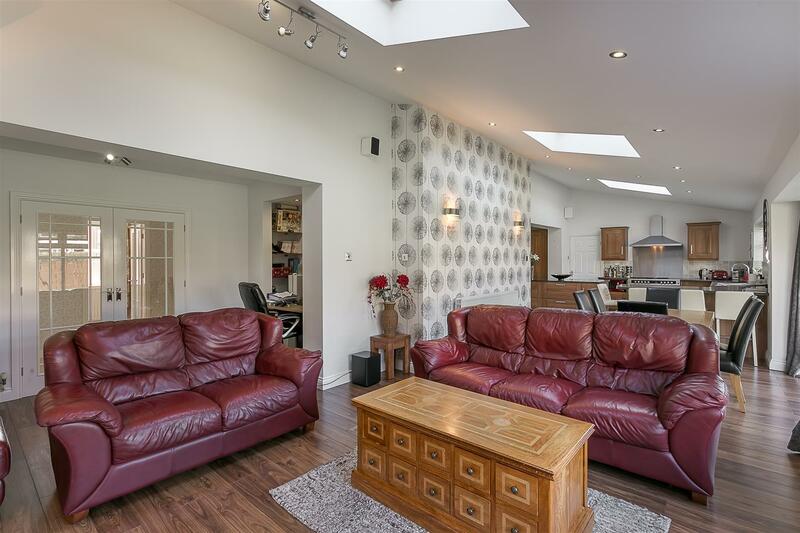 The front gardens extend around the side, with a block paved, multi-car driveway providing ample parking for family and guests and access to a 19ft integral garage with electric roller door, light, power and workshop space with mezzanine storage. 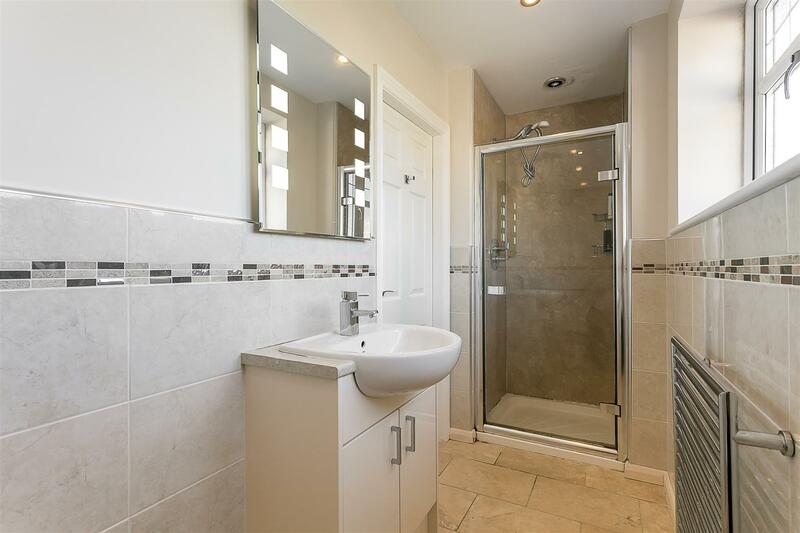 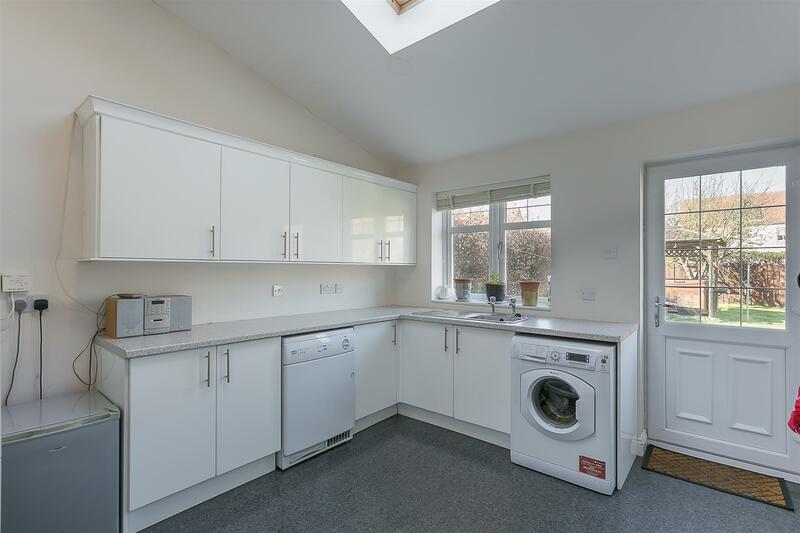 Double glazed throughout, with gas 'Combi' central heating and solar photovoltaic panels providing a guaranteed income for years to come, viewings are strongly advised.